SAN DIEGO — To understand just how far Vista High School will go to keep kids interested in school, consider the case of 17-year-old Hernan Hernandez and his skateboard. Hernan, an avid skateboarder, was bored in gym class. So were his classmates. 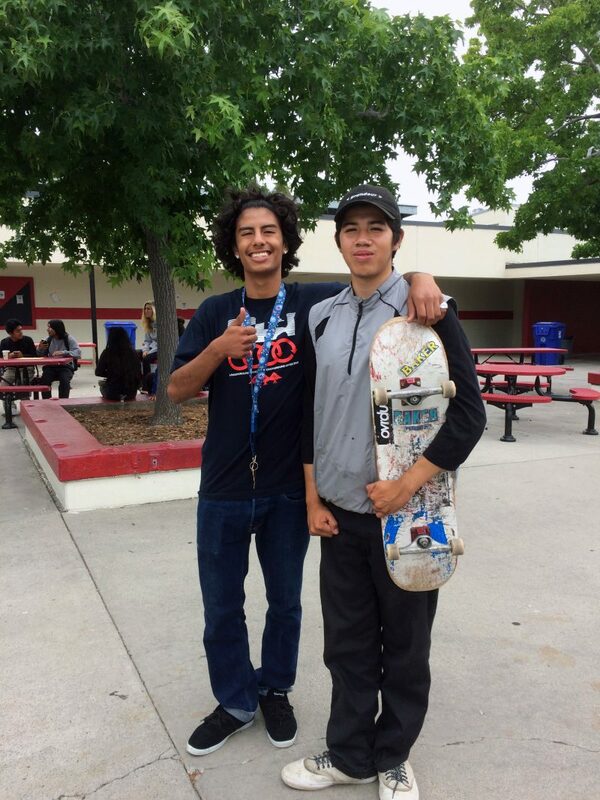 So, late this spring, Hernan approached Principal Anthony Barela with a potential solution: What about offering them a skateboarding course instead? “I’m pretty sure if you told them they could skate and get an A, they would do that,” Hernan told Barela, a former football coach who is maniacal about keeping Vista High School students in school. Barela agreed: He’ll work with Hernan to design a skateboarding course, part of the school’s dramatic transformation toward meeting the needs and interests of the roughly 2,600 students, most of whom are Hispanic and working class, who attend this open-air suburban high school. Next year, Vista will enter an uncharted era: Every freshman will embark on a new curriculum designed to help them find and pursue their interests. A $10 million prize from the national nonprofit XQ Super School Project is already overhauling Vista High, encouraging more cross-disciplinary, independent projects; enhanced access to technology; and close attention to social and emotional skills. 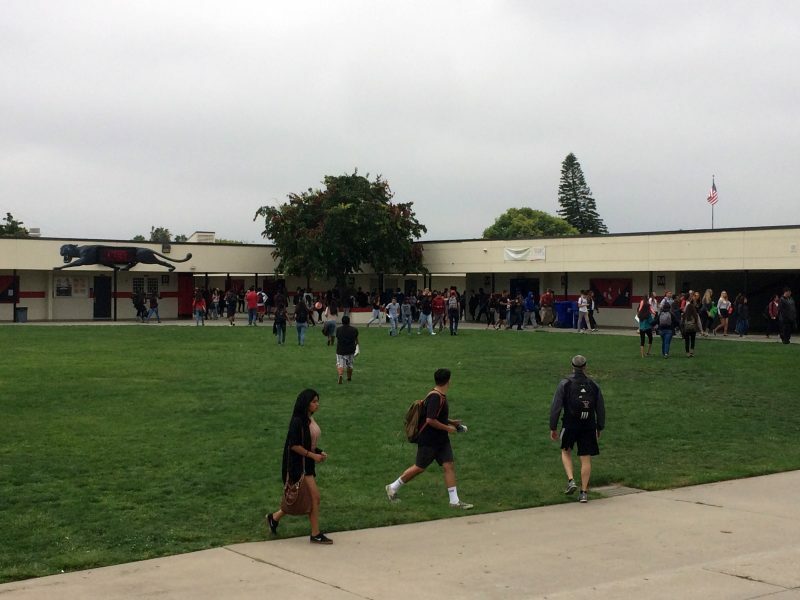 The changes support a contention of high-school reformers nationally and some educators here: “The way we’re teaching students, it’s not working,” the Vista science teacher Allison Whitman said during a recent weekday before school ended for the summer. “That was kind of a gut check for us,” Doyle said, and it prompted the district to issue a challenge to all its schools — to create classes more tailored to their students’ interests. Vista High School and Barela leapt at the opportunity. 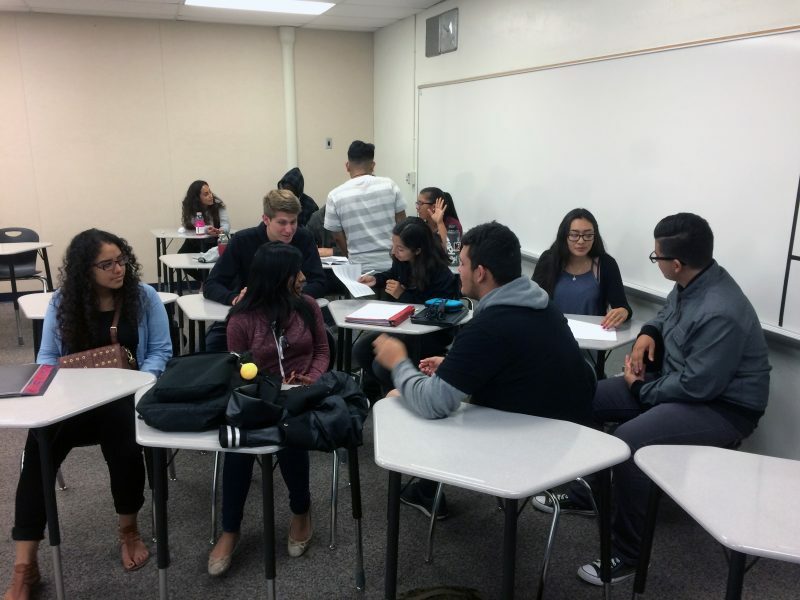 Vista High School was struggling with chronic absenteeism, and, most vexing to Barela, 10 percent of students who entered as freshmen dropped out before senior year. The idea they came up with two years ago, called the “personalized-learning academy,” or PLA, eventually formed the basis for the school’s winning XQ-grant application, and will be the model for the curriculum that Vista rolls out this fall. In September, Vista’s entire incoming freshman class of about 700 will be split into five “houses” of between 130 and 150 students and four teachers each, with the teachers trained to home in on the students’ strengths and preferences. The XQ prize money, paid out over the next five years in $2 million installments, will fund total conversion of the school by 2020. For Barela, the barometer for success for the inaugural freshman class is straightforward: “If we don’t lose ’em,” the school is making progress. Vista’s transformation comes in the midst of increasing national attention on the potential of personalized learning — and the new technologies enabling it — to solve a whole range of challenges facing schools, from student behavior, to job readiness, to academic achievement. The term encompasses a variety of techniques, often involving technology, meant to give students more control over what they learn and how fast they learn it. Advocates say it’s more effective than having a teacher present one lesson, at the same pace, to a group of students with different interests and needs. But the approach is so new that, so far, little evidence exists to suggest it can deliver on its potential, and there’s little agreement about what it looks like in practice. Vista’s willingness to extend personalized learning to all 25,000 of its students will make it one of the first districts in the country to take on the approach system-wide, Doyle said. And the changes at Vista High School will become a high-profile national test run of how a personalized-learning approach can work in a large, comprehensive public high school, the kind most U.S. students still attend. Already, the new system at Vista is creating anxiety for students, teachers, and parents who are new to the approach. Principal Barela, a devoted fan of the school’s successful athletic teams, is optimistic, and analogizes the school’s new model to high-school sports. In sports, constant feedback from coaches helps athletes identify the skills they need to practice and then put to the test during games. There’s no question about whether those skills are relevant, Barela said; why not replicate that model in academic classes, allowing teachers to act more like coaches who work together with students to help them improve in areas they consider important? Vista’s personalized-learning overhaul next year, for all of its uncertainty, is not the school’s first foray into the approach. School officials have been closely watching the progress of the pilot personalized-learning academy. It opened two years ago, with a class of about 150 students who opted into the program as juniors with the option to continue through their senior years. The same offer was made to last year’s juniors, and the opt-in program for the upperclassmen will continue while all the new freshman embark on the class-wide, personalized-learning initiative. And while early results from the pilot academy are promising, the experiment hasn’t always been smooth. Hernan, the skater, participated in the pilot and found the freedom in class disconcerting. He became easily distracted by having a personal Chromebook laptop at his fingertips. “There’s times where you are like, wow, I just wasted two hours,’’ said Hernan, who once spent the better part of a class Googling “Supernovas’’ during a unit on the Big Bang theory. His grades slipped over the course of the year. Jeb Dickerson, who teaches American history to juniors in the pilot academy, found his students growing restless while working on independent projects he’d designed to give them more freedom. About half of the first $2 million installment of Vista High School’s XQ award will go toward training staff. Another $800,000 will go towards updating classrooms. Vista’s early trials and errors echo the experiences of many schools trying the personalized-learning approach, according to Betheny Gross, the research director at the Center for Reinventing Public Education. Principal Barela said the experience of the teachers in the pilot academy pushed him to focus more on teacher training this fall. The challenge ahead, Barela said, is to find a balance between teachers butting in to students’ work and teachers giving them free rein — that will be part of the training. Finding the right balance might also mean taking risks on topics not traditionally covered, one reason Barela was so open-minded about Hernan’s skateboarding proposal. Kelly Humann, the PTA president and a parent of a 10th-grader, has seen personalized learning work at her daughter’s magnet middle school (a selective school that admits students by application), but wonders how it will translate to a much larger high school where not all the students necessarily choose to be there. “We’re all worried to see how it’s going to be implemented,” she said. In addition, the low cost of technology that allows different students to work on different projects at the same time has made personalized learning an even more attractive route, Gross said. Early data from Vista’s pilot program suggests that, for most students, the more-flexible class environment of the personalized-learning academy has been helpful. Of the first cohort of juniors, 60 percent boosted their GPAs, school officials say. Teachers also reported a big improvement in student behavior. Barela said 70 percent of the students in the pilot academy improved their attendance, and there was only one disciplinary referral in the academy during the first cohort’s first semester. “We have so many kids who are typically on that fringe, in class regularly and participating … who felt like they belonged here,” Dickerson, the 11th-grade history teacher, said. Teachers could also better handle disciplinary issues because they’d developed deeper relationships with students, and they were able to rely on other teachers in the academy because they shared students and had more time to collaborate with each other, said the 12th-grade history teacher Matt Stuckey. For example, when one senior cursed at another student in the middle of a presentation, Stuckey calmly approached the student and walked outside with him while another academy teacher carried on with the class. Stuckey learned more about the conflict — the two students were longtime friends, and had gotten in a fight — and resolved it without punishing the one who’d cursed. Later, the student approached his teacher and offered a mea culpa, acknowledging that he’d lost his composure. Vista’s pilot personalized-learning academy helped the school win the highly competitive XQ competition, and they have lots of ideas for what they’ll do with the money. About half of the first $2 million installment will go toward training staff, Doyle said. Teachers will get a four-hour block of time during the school day each week to meet with a small group for planning and training, Barela said. Another $800,000 will go toward updating classrooms. The school will distribute rolling chairs and Chromebooks, as noted, and several flat-screen TVs per classroom instead of one projector, so that groups of students can project different images at the same time. Though Barela’s immediate hope for personalized learning is to improve attendance, his plans for the next five years are more sweeping. As part of the XQ grant requirements, the school identified several performance goals. Vista committed to improving not only its graduation rate, but also students’ college readiness and state math and reading exam scores by at least five percentage points by the time the incoming freshman class reaches its senior year. Some Vista students from the pilot academy won’t know for sure how, if at all, personalized learning changed their high-school experience. Hernan, the skater, didn’t sign up for this fall’s academy, fearing the freedom would prove too tempting and his grades would continue to slip. Hernan plans to dedicate his senior year to working on a skateboard apparel company called Brofu that he founded with some friends. He’ll take courses in graphic design and photography offered through the school’s vocational-tech program to get better at designing clothes and digital marketing, while sticking with more structured classes for his core academic subjects. This story was produced by The Hechinger Report, the nonprofit, independent news organization focused on inequality and innovation in education. Sign up for our newsletter. "Independent reporting" ? - no identification of which self-anointed ed reformers from the tech industry provided $10 mil. for the project- no questions about using kids to test unproven prototypes of learning- no questions about whether this innovation" was limited to poor kids i.e. rejected by the schools of the wealthy. The wholesale use of terminology provided by the industry e.g. "personalized learning", when the accurate descriptor is depersonalized learning. No explanation that the origin of the prior failed testing scheme was also self-anointed ed reformers from the tech industry. Thank you for raising these concerns. We take our independence very seriously. We did identify the organization that provided the $10 million prize - it was XQ - and we noted that the assertions made by that organization - that high school should have "more cross-disciplinary, independent projects; enhanced access to technology; and close attention to social and emotional skills" - were shared by ed reformers. We also included several paragraphs about teacher, student and parent concerns with the new model being tried at Vista. We noted that one student found his grades slipping with all the new freedom and that some teachers struggled with designing new courses. The story mentioned more than once that this new model is experimental. As this was not a story about the history of the education reform movement, we didn't address the whole movement in this story or the history of all of the emerging terminology. If you are looking for more coverage of testing and other topics connected to ed reform, you will find that elsewhere on our site. Our search function should be very helpful on that front. I hope I was able to provide sufficient examples of our independence in reporting this story on a new format for high school education that is gaining traction across the country. Are we running a candy store here, or a place of learning? Who wants to learn Trigonometry? Yet for many of this it became one of our most important skills! Learning to do better on a skateboard doesn't seem to me to be a very transferable skill to any living wage employment! XQ is the creation of self-anointed ed reformer, Laurene Powell Jobs (widow of Apple's founder). Journalist Lisa Miller wrote about XQ in New York magazine, Oct. 18, 2016, "...Job's $100 Million Mission to Disrupt American High School" (because poor kids don't have enough disruption in their lives). Mercedes Schneider wrote about Job's Emerson Collective at the Deutsch 29 blog, April 23, 2016. $100 million "gains a lot of traction" when schools are starved for funds not unlike the money attached to Common Core adoption. If Mrs. Jobs didn't have money, would anyone be listening to her? Articles like this one legitimize a know-nothing's agenda.